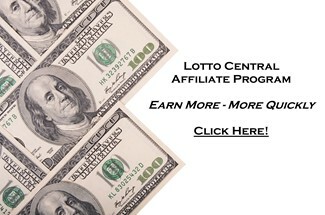 Texas Universal Guaranteed Income | Lotto Central - Play For FREE! 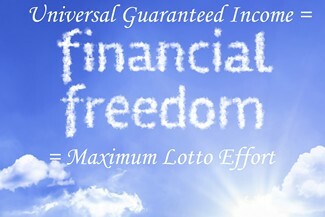 The Boys in the Lotto Lab have watched with interest proposals for a Universal Guaranteed Income (UGI) from such luminaries as Elon Musk, Mark Zuckerberg, Richard Branson and others. These mega rich entrepreneurs are four square behind the government handing out cash to their employees, thereby saving them the trouble. After an extensive, painstaking study and review conducted yesterday afternoon, The Boys in the Lotto Lab have expressed their unconditional support as well. When the Great State of Texas adopts their Universal Guaranteed Income initiative, these troublesome issues are immediately resolved. The Boys will no longer need to jump through hoops for their Mother’s benefit just to remain in basements they’re going to inherit anyway. Now, rather than performing perfunctorily on assorted lawn work and vacuuming assigned by their Mothers for a pittance of pay, they’ll simply wait by the mailbox for their check from Austin. What could be sweeter? No muss, no fuss, no effort required. As quickly as the government largess arrives, The Boys will buy fresh burritos, and scratch offs. 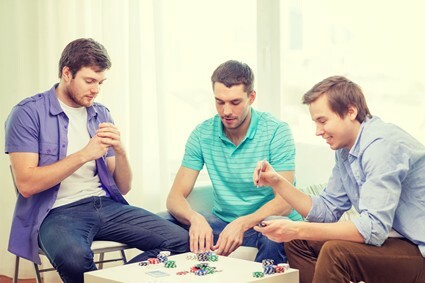 This assures they have something to do when they take a brief break from their uncompromisingly precise Lotto Research. Now that The Boys significant efforts to win the lotto are no longer diminished by the time required to earn a living, they’re prepared to direct their diverse talents to other worthwhile endeavors. 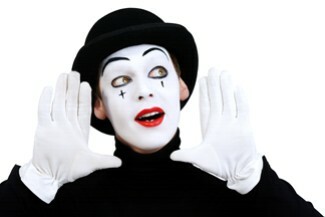 Street Mimes – The Boys have long been students of the performing arts. They’ve not found solace in ballet, classical music or sculpture. They find those forms of expression too rigid and confining. Rather, they like painting their faces and acting goofy on street corners. They love the magic that comes from being trapped in a make believe box, the wonder of pulling on a make believe rope and the astonishment on their patrons face when they insist that passersby contribute cash to support their insanity. To date, donations have been slim, but The Boys remain optimistic as they hone their craft. Folk Singer – The incredibly soulful message The Boys deliver address the many trials and tribulations they’ve encountered and overcome in their quest to hit the big one. They have enchanted audiences in several local venues. Mostly they serve as backup artists tasked with cleaning tables and hosing off the parking lot after a raucous night of Texas revelry. Nevertheless, they remain optimistic that they’ll soon be headlining in a prominent Flower Mound watering hole. When that happens, they’re confident that the resulting cassette sales of their “In Person” performance will propel them to fame and fortune. In the meantime, they remain optimistic and make plans to share their knowledge with Texas students, so their unique blend of music and magic will not be lost when they hit the big one and buy their own island in the middle of Lake Travis. Puppeteer – The Boys are not all business, they also have a whimsical side. They’ve taken care to precisely and accurately re-create the entire State of Texas entourage conducting the twice weekly Lotto Texas Drawing. Their puppets are hauntingly life-like. Each Wednesday and Saturday they’re mesmerized by the Texas Lotto Drawing. You’ll be surprised to learn that their professional puppets are made entirely of toilet paper tube centers. These carefully crafted treasures have given The Boys hours of lotto drawing pleasure and helped them remain optimistic that the next multi-million dollar drawing will be theirs. You see, in their puppet drawings there are only six numbers in play, so they win 100% of the time. Tragically, their puppet jackpots are not worth writing home about. Multi-Level Marketer – Professional business environments is where The Boys shine like Shinola. In addition to their lotto notoriety, they’ve become known in and around Flower Mound as serial entrepreneurs. The Boys are well known to waitresses, checkout clerks, and convenience store operators. These front-line retail professionals KNOW they can always count on The Boys to present them with the hottest new opportunity on the planet. For readers open to a lucrative business proposition, The Boys asked me to show you this. Click Here. Food Critic – The Boys in the Lotto Lab are known throughout Flower Mound and beyond for their culinary expertise. In fact, they’ve tried 100% of the finest Mexican Restaurants in the Dallas Fort Worth Metroplex. They’re in search of the perfect burrito. 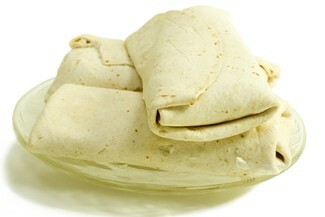 The burritos are judged on defined criteria including presentation, texture, taste, aftertaste, and gas. Each restaurant has strong pluses and minimal minuses. Each time The Boys visit an eatery, they always announce that they are world famous food critics and will be writing extensively about their visit to the establishment currently under review. To date, restaurant staff has wooed The Boys with unlimited free burritos in hopes of being named Number One in Texas. Not unexpectedly, The Boys have delayed announcing the winner, but anticipate it will be forthcoming shortly. They’ve been saying that since ’96. Story Teller – The Boys are known throughout North Texas as tellers of tales and spinners of yarns. They often hold court in front of the Lotto Lab. It’s here that the young, the old, the confused and the unemployed come to hearken to three of our nation’s most lucid and talented Lotto Professionals. Many times you’ll see Texas Mother’s gathering their children while concurrently admonishing them not to listen to these three crackpots. Now that The Boys are free from economic constraints, they’re prepared to share these skills with all comers. In fact, as quickly as they begin receiving their Universal Guaranteed Income from Austin, they’re going to open an alternative education facility permitting students of all ages to learn from their accumulated “Deep Wisdom.” Acquisition of these priceless insights will allow old and young alike to create their own fulfilling lives filled with Street Miming, Folk Singing, and Puppeteering. Finally, the children of Texas will no longer have their dreams crushed by “The Man.” Soon, exit ramps, street corners, and downtown doorways will be alive with Multi-Level Marketers, Food Critics, and Story Tellers. Young Texans can simply be themselves. Thanks to UGI, they may do whatever they like, or, like The Boys, do little or nothing while they wait for the big one.